I started these maunderings eight years ago. When I look at the numbers – over twenty thousand visitors, over forty thousand views – I have no idea what it all means. I don’t believe there are all that many of you who navigate here hoping for advice on writing musical comedies. The pictures I post are somewhat like the glue traps set for mice that capture a bunch of roaches. I’m told that Google Image Search is how many of you arrived here and I’m sorry I likened you to roaches. Let me give you a piece of my mind. That’s the whole premise, isn’t it? Every week or so, I have some thought about musicals, and, in this share-happy era, I run to make it public. I try to self-impose a 1,000 word limit, but talking about Leonard Bernstein – come on! And some subjects are easier to discuss than others. Take music, for instance. It’s this amorphous thing, and words to describe it are insufficient. The readers may know a helluva lot about music theory, or nothing at all. Addressing you all, I step into a minefield in which I sound way too wonky to some, simplistic to others. And yet there are times when all I want to discuss are compositional issues. We can widen the lens and talk about the structure of a musical. But imagine I post about Guys and Dolls and the way its two romances play off each other, each providing respite before either couple wears out its welcome. That might be a helpful observation but it’s not as illuminating as actually seeing Guys and Dolls. Go see Guys and Dolls, people! It’s fun. I try to throw jokes into every post, but I’m not that entertaining. And this is my trouble with so much that is written about musicals. Books on the subject tend to be dry, rendering a very lively art somehow lifeless. I don’t want to remove the bubbles from champagne. Reading, you can get the triple entendre but in the theatre? Nobody laughs. And the effect on an audience in the theatre is all that matters. Can you hear the people sing? And by people I mean the Steve-adores and by sing l mean complain. “How dare he criticize a Sondheim line? Everything the man wrote is absolute genius. I love that line.” And there’s where this blog alienates or even outrages readers. I happen to believe that Merrily We Roll Along is uncompelling, Anyone Can Whistle is incomprehensible and Into the Woods exhausting to sit through. Explaining why invariably brings out those who can’t deal with any criticism of their God. Which is part of a broader problem: There are many musicals that people love that don’t work for me at all: Evita, Side Show, Parade, and the worst hit musical I’ve ever seen, Miss Saigon. Funny thing here – autocorrect respelled the demon first lady of Buenos Aires as “Evian” and every time I see that water brand, I think, “It’s ‘naive’ backwards. Don’t people get it?” But I must own my snobbery. 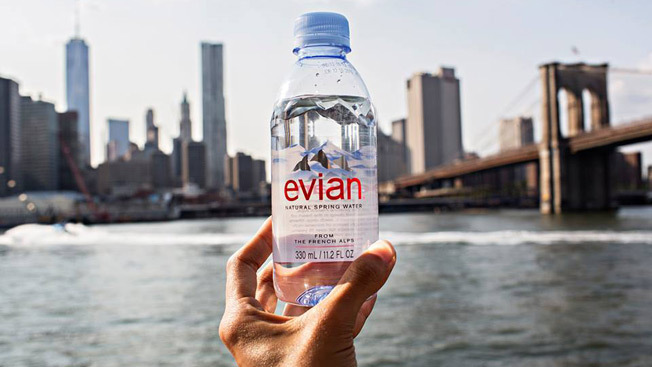 A lot of people love Evian – “one of the wettest we’ve ever seen, from the standpoint of water.” And a lot of people love Evita, but I can’t get past the false rhyming, the meaningless repetition of themes, the sense that I’ve seen it all before. I don’t want to declare Evita fans “naive” – or “Ative,” I guess – but if this blog is about anything, it’s about having high standards of craft. And shows that fall short – well, I’m compelled to call them out on that. And so, when you meander through these 430 maunderings, you come across some opinions that you might differ with, or that might differ with the prevailing orthodoxy. Good. I expect you come here for idiosyncratic opinions, be they catty or Katzy. I see myself as engaged in a passionate argument, my quill tearing through parchment like Hamilton’s, sizing up musical theatre entertainments; some succeed, some don’t. You don’t have to agree with me, but I hope I’m raising a few issues that get you to look at musicals in ways you might otherwise never consider. This little blog-aversary acknowledgement is sandwiched between a lot of retrospectives – the centenaries of three masters of the form, my wife’s birthday, our wedding anniversary. And that seems an unhealthy amount of looking backwards. Truth is, I’ve been writing a lot of songs recently, more slowly recording them, and am absolutely obsessed with a current show tune, Answer Me. I really think I’m looking in front of me, even if this blog says otherwise. So, you see, even I find stuff to argue with here. When an L.A.-based musical theatre writer asked me if she should move to New York, I realized I’d failed to commemorate, here, the anniversary of my arrival there, soon after high school, in a year ending with 8. By the next year ending in 8 – that is, ten years later – I’d had seven musicals produced and a college degree. None of that is coincidental. Or course my young friend should move to New York. Of course there’s no way I would have seen so many of my shows on the boards in my twenties if I was anywhere but New York. Gotham is invigorating vinegar; we in the musical theatre biz are the flies. And that seems obvious to me, a no-brainer. Usually, I write these essays in the literal old-school way, with a thesis I must prove true. But does anyone really need convincing of the greatness of The Apple? So, instead, a few random memories; things I think could have only happened in New York. On a visit when I was sixteen, I saw a little revue with a song that maintained that only right here, in New York City, could anything ever happen to you. Such was the town’s reputation then, and today we’re more used to the idea that while there are more murders in NYC, there aren’t all that many per capita; my borough, Manhattan, wasn’t a hazard. But there’s a weird sort of macho pride to living, unscathed, in a place your Aunt Winifred thinks is a nightmarish hellscape. Really? You really have an Aunt Winifred? Cool. Nowadays, we’re used to the transgendered, but my freshman year of college, the concept was quite a head-spinner. I was hired to accompany an evening of Brecht plays, and cabaret songs were warbled by a Sally Bowles-type with fabulous legs in fish-net stockings. Six feet tall, plus heels, and, you guessed it, born a man. I had a job to do, and didn’t want my concentration to drift towards the down-below details of the Amazon I was playing for. But then came the staging. 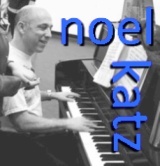 I had my back to the audience, playing an upright piano. The singer sat on top of it with her legs spread, one heel just past the piano’s high note, the other just past the low note. The reconfigured anatomy I didn’t want to think about was directly in front of my eyes. You try not to think about it. Years later I was playing piano bar in the Village and didn’t bat an eye when more than a dozen drag queens poured into the place. They’d attended some event – Wigstock? – and now wanted to sing show tunes. On another night there, I kept my cool as a terrible fist fight broke out. The combatants were near the top of a metal staircase that headed to the basement, and a fall the wrong way could have seriously injured someone. But I knew the bar’s able bouncer would soon pry them apart so I just continued playing Isn’t It Romantic? The thing Carolyn Leigh and Cy Coleman captured so well is that, every step you take in New York is filled with romantic possibilities. You’re brushing up with strangers, constantly, and one may turn out to be the love of your life. My cousin met the woman he married on a subway platform, and years later I wrote a song about such sweet serendipity. If love is in the soot-filled air, you’ve more inspiration for the romance that goes into your shows. That song was part of a projected revue a famous restaurateur tried to hire me to write. I negotiated a price and we got together one afternoon, sitting in a booth to sign a contract. Her assistants, two rather large fellows, sat in the booth with us, and I was literally up against the wall. The henchmen – can I call them thugs? – complained about things in the contract that we’d already agreed upon, as if my work couldn’t possibly be worth the meager fee I’d accepted. I knew, right then, that I couldn’t risk working with these people, but couldn’t make a quick exit because the thugs wouldn’t get up. Maybe that’s not an only-in-New-York event, but I felt I was lucky I didn’t end up in concrete shoes at the bottom of the East River. Do would-be revue-writers get drowned in the Monongahela? You tell me. At auditions for On the Brink, in walked a man who seemed to be a crazed killer, and, naturally, we thought “Hey, our opening number contains a crazed gunman! We should call him back.” Then it turned out his singing was the one thing about him that wasn’t up to snuff. For The Christmas Bride, auditions were held in such a remote and sketchy place, few people showed up. One middle-aged character man impressed us, and he phoned his girlfriend (who was half his age) to tell her to rush down since she wouldn’t face a lot of competition. She got the lead. The Company of Women was developed in a loft of dubious legality in a non-residential part of town, right around the corner from the original Tin Pan Alley. We commenced creating with a dozen performers improvising scenes from their lives. And I’d be inspired. Not just by what I saw, but from the presence of ghosts. That is, as I walked down 28thStreet, I knew I was literally walking in the footsteps ofGeorge Gershwin, Jerome Kern and Irving Berlin. And that mattered to me. A lot. Go try and find that anywhere else in the world. My last two posts celebrated the birthdays of long-dead musical theatre writers. And, since writing them, the world’s lost Neil Simon (who wrote five musicals), Barbara Harris (the most delightful musical comedy star of the 1960s), and a couple of folks who were even more famous. So let’s veer a different way and celebrate the lovable living woman who enlivens my days, my wife, whose birthday was Labor Day. Beloved, she is, and not just by me. We’d be walking down some West Side street, and someone I’d never met would scream her name in glee – “Joy!” and that embodied a double meaning, since the person exclaiming her name virtually bubbled over with elation. And there’d be a big hug, and a truthfully expressed “thank you” and most often some mention of how Joy changed the performer’s life. For that’s what she did, for the large community of New York performers, for well over a decade. Individually, at the auditions she ran, she’d make the aspirant feel welcome, supported, even loved. She’d be honest, like the time she stopped a friend of mine after he’d left the room to tell him he wasn’t going to get this particular role, but she’d be calling him in for something else soon. And, yes, he won that role; it changed his life. If they bumped into each other today, you’d see the exact scene I just described. But he’s one of many hundreds. The acting community at large saw tangible improvements to the auditioning process.That means things like a digital sign-up system, improved waiting rooms, invaluable help with learning what to prepare and what the team is looking for, opened possibilities for performers of all ethnicities, gender identities, and what I’ll clumsily call “ableness” – whether one’s in a wheelchair, or legally blind, might not bar one from Legally Blonde. Joy denies deserving credit for these systemic changes in the theatre industry. And you know you’re reading a biased news source, but I’d love to hear the name of any casting director who’s done more in the comments. But first, a story that relates to Neil Simon. About a year into our relationship, Simon’s first memoir came out, Rewrites. I think Joy and I each had a copy, and we were very much enjoying reading it at the same time, or not exactly at the same time, as I was a few chapters ahead. As Doc detailed the love story of meeting and courting his first wife, Joan, Joy decided that, in some sense, they were like us. I was this wry and prolific theatre writer; she enjoyed tennis. Our first names had a lot of letters in common. As the pages turned, she was more and more convinced Joy and Noel were just like Joan and Neil. 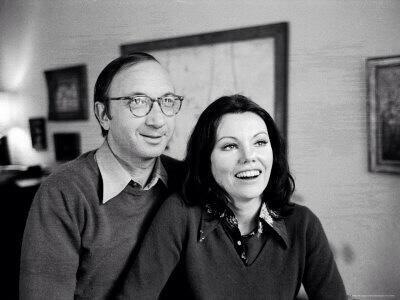 But this gets me thinking about Chapter Two, and how Simon took a turn of events from his life – his re-entry into the world of romance as a widower – and wrote it up as a funny and touching play that the world naturally assumed was about him and Marsha Mason. For the past five years, I’ve been working on a musical about a couple with a young daughter and the world naturally assumes this has something to do with me and Joy. It’s an entertainment, not a documentary, and there’s nothing to be gained by hewing close to the truth. So, I take my premise – that having a kid affects the marital relationship – and dramatize the implications with no regard as to whether any of these things actually happened. If audiences assume it’s real, we’ll both be annoyed. Besides, I already wrote a musical in which Joy and I were accurately represented as Bride and Groom – Our Wedding. You can buy the Original Cast Album – quite a rarity – and enjoy Joy playing the real Joy. Recently, I’ve been thinking about how she kept sending me back to the drawing board on her big number. I keep creating new numbers for spots in one of my current projects. And a sense of hopelessness might set in if I didn’t recall the happy result on Joy’s eleven o’clock song. So, dissatisfaction with what I’ve written is a life-long recurring theme with me. And that applies to this little essay today: I feel it doesn’t nearly do Joy justice. And it didn’t even come out on her birthday! Her birthday is being celebrated over a period of many days, starting with Labor Day weekend and continuing on a few more. All this fun – in person, in real life – has taken away time I might spend creating this here thing. I’m reminded of a Gilbert & Sullivan song called A Man Who Would Woo A Fair Maid and fear this endeavor may earn me a punch in the ear. That no maid without pity can see. You are currently browsing the There's Gotta Be a Song blog archives for September, 2018.